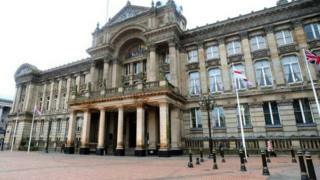 Birmingham City Council has been told by an ombudsman to address a historical complaint about child abuse that it had previously failed to investigate. It was found to be at fault for its poor handling of a complaint raised in 2014 relating to a foster carer. It is unknown whether the accused still fosters children. The Local Government and Social Care Ombudsman said the council should remedy the situation by investigating now. The council has since apologised. When the watchdog investigated, it found Birmingham City Council's children's care services had not followed up a complaint by a man who was placed in foster care as a child. It also found the council did not provide adequate reasons for its failure to investigate the complaint. The complainant, known as Mr X, left the care system when he reached adulthood six years ago. In its report, the watchdog said "nothing was done" when he first reported the complaint and his "terrible experience" of abuse had an adverse impact on his mental health and had left him in a "depressive state" requiring therapy. The council claimed it had written Mr X a letter which he said he did not find out about until 2017. He raised the issue again in 2017 but was unhappy the authority took nearly 60 days to respond, only to confirm the allegations were "historic and could not be investigated". The ombudsman said in its report the council "cannot simply conclude the allegations are historic and so will not be investigated". "If the foster carer concerned still looks after other children in care then there is a further imperative on the council to consider the allegations." The watchdog also concluded there was an "unreasonable delay" in the council's response to the complainant but it accepted the authority's apology was "appropriate". It said to remedy the injustice to Mr X, the council had agreed to investigate his allegations. A council spokeswoman said the authority acknowledged the ombudsman's findings and was working with Birmingham Children's Trust to take the necessary action.